Spring is here and with the change of the season comes changes to our menus. Over the month of April, your school will transition to our newly updated Spring-Summer Menu. This season, we’re featuring Fresh Fruit Fridays! Every Friday during lunch, your child will be served fresh fruit with their meal, including bananas, apples, oranges, pears, honeydew, cantaloupe and watermelon! All of this fresh, seasonal fruit will benefit our students’ health while supporting our Grow Fit mission. Want to try out one of our new recipes at home? Here’s our refreshing cucumber salad that will make the perfect addition to your spring and summer meals! Dice the cucumbers into ¼ inch pieces. 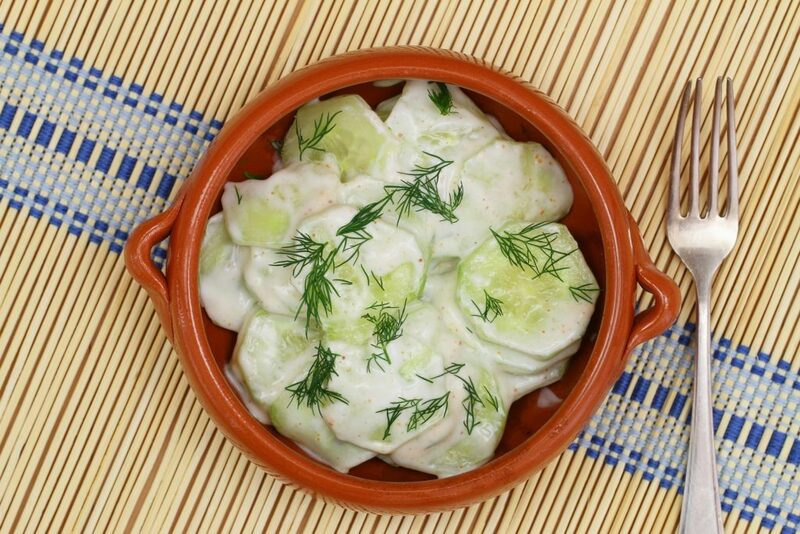 Mix the sour cream, dill, chives, salt and pepper in a small bowl. Add the diced cumbers and mix gently. Lightly chill before serving.